After a certain point, your only real competition becomes yourself—but that doesn’t mean you don’t stop trying. The 2017 Kia Optima continues the Optima’s storied history of rewards since the model redesign in 2011, including the likes of the Red Dot Design Award, 5-Star NHTSA ratings, iF Product Design Award, and Car of the Year. The new Optima continues to improve to secure its place on top for 2017. 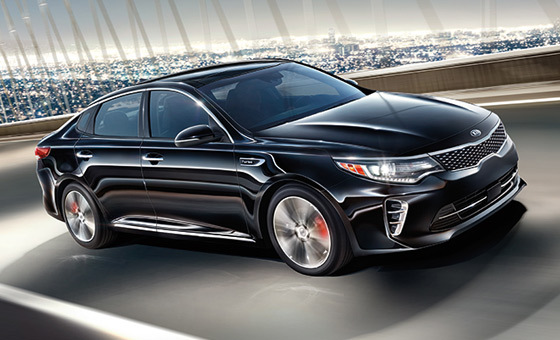 Outstanding engineering, overlooked by one of the world’s top three automotive designers, combined with exhilarating performance and the latest in vehicle safety systems have all made the new Optima one of the most advanced midsized sedans on the market. Like every Kia, the Optima is backed by a worry-free 5-year/100,000km comprehensive warranty to reflect its outstanding quality and reliability. You’ll also find yourself wanting to spend a lot of quality time inside the new 2017 Optima, with an interior that hits the perfect balance of style and comfort. Loads of space, luxurious lumbar support, and features like heated and cooled seating make the Optima a truly first-class driving experience. The 2017 Kia Optima now offers four engines for you to choose from. If you’ve never driven in a turbocharged car, then you may be shocked at how much power can be exacted from a small 1.6L four-cylinder engine. Or, if you opt for the Optima’s 2.0L turbo, you get 245 horsepower to match the output of many bigger V6 engines, combined with the economy you’d expect of a four cylinder. It’s the best of both worlds. 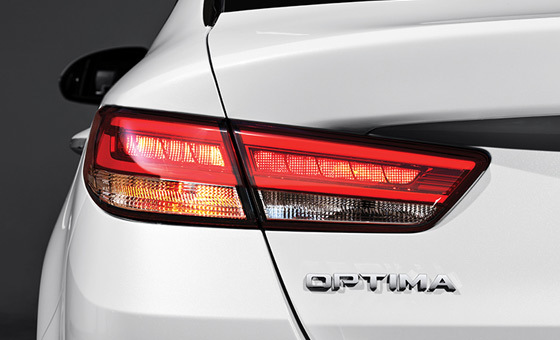 If economy is your priority, the Optima Hybrid offers an unmatched 5.9 L/100km city fuel efficiency. You might start losing track of time on long rides as the 2017 Kia Optima makes comfort a priority, with luxury features like available heated and cooled seats and adjustable lumbar support. During those colder Saskatchewan mornings, you’ll appreciate the available heated steering wheel. 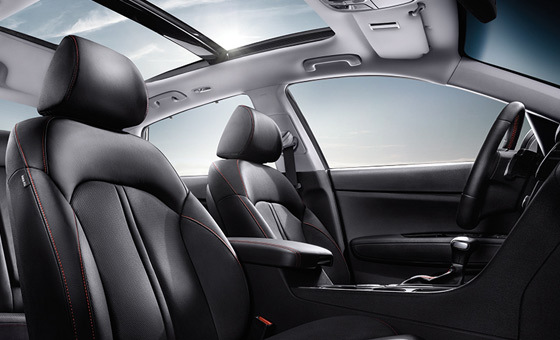 Other features like rear seats with air vents mean that your passengers stay comfortable too. Technology is key as well: standard Bluetooth wireless technology puts streaming audio at your fingertips, and available features like voice-command navigation let you find your destination without taking your eyes off the road. As a Top Safety Pick for 2015 by the Insurance Institute for Highway Safety (IIHS), you can rest assured that with even more safety equipment, the 2017 Kia Optima will continue the Optima’s reputation for safety. Standard and available safety technologies like Blind Spot Monitoring, Lane Departure Warning, Forward Collision Warning with emergency autonomous braking all work together to ensure you and your passengers are always protected. If you’re shopping for Kia Optima Parts or Accessories in Regina, then be sure that you’re getting Original Equipment Manufacturer (OEM) parts. When you shop at Wheaton Kia, you get parts that are guaranteed to match the manufacturer specifications for your vehicle for fit, finish, and performance. Don’t settle for less. Check out the Kia Canada parts catalogue at our parts desk and find exactly what you’re looking for. Our professional parts representatives are ready to help! Drop by or order your Kia Optima parts online now.